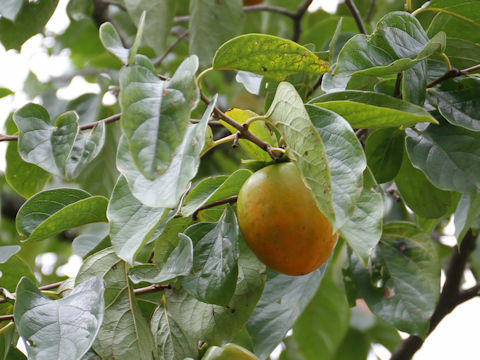 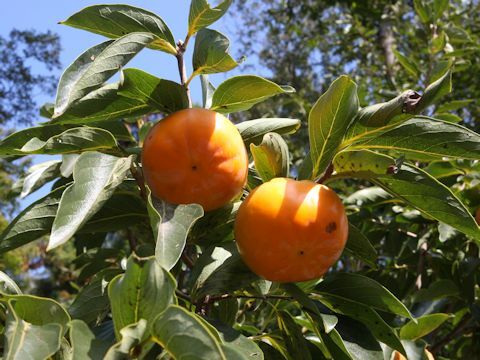 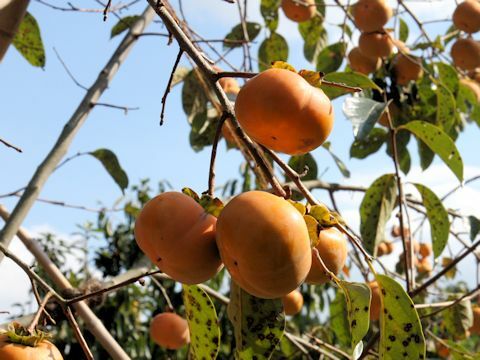 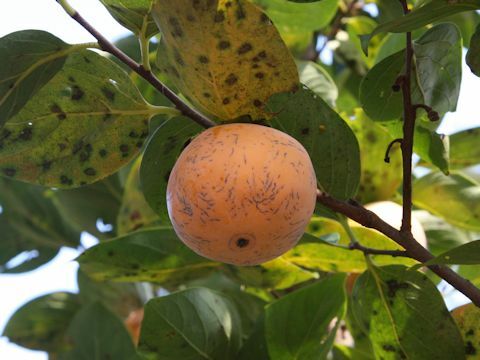 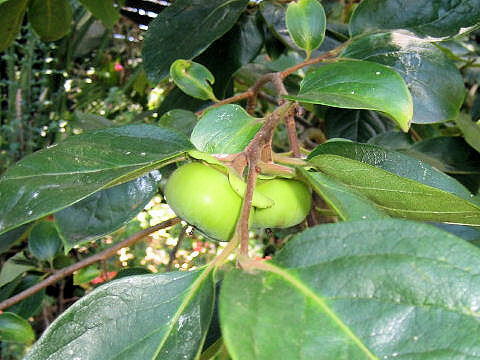 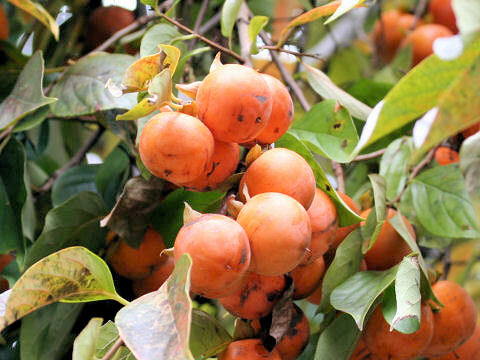 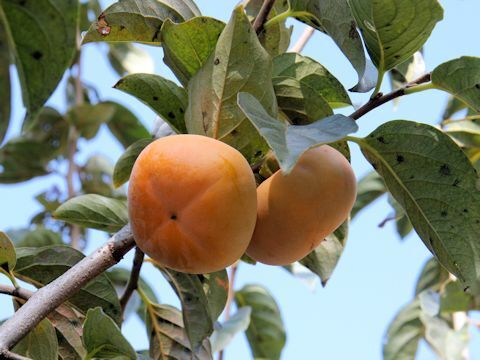 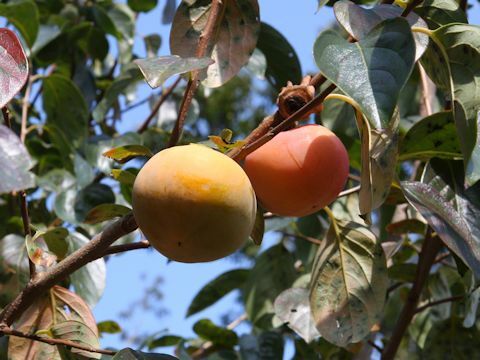 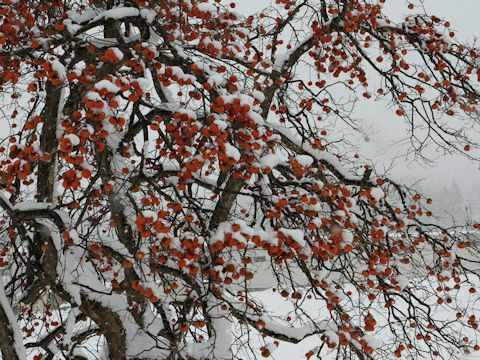 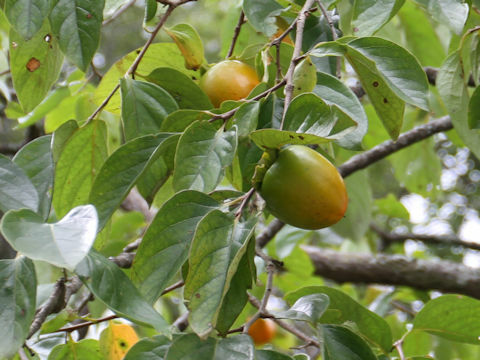 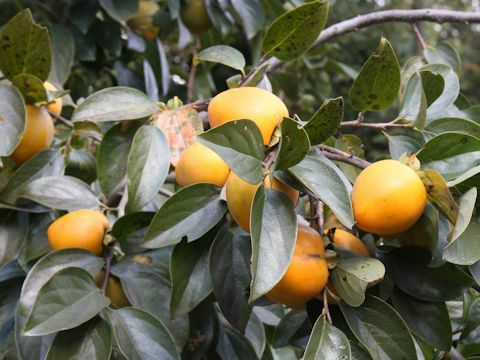 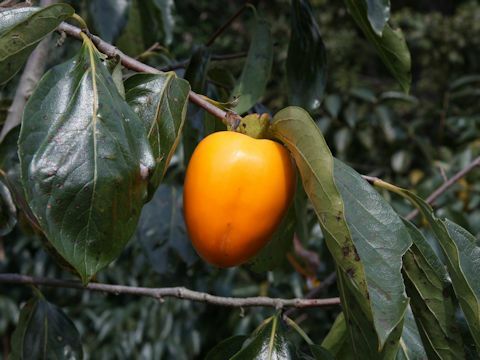 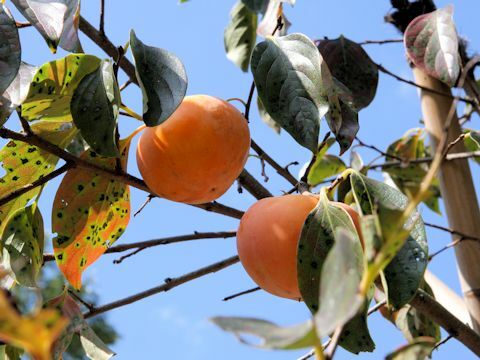 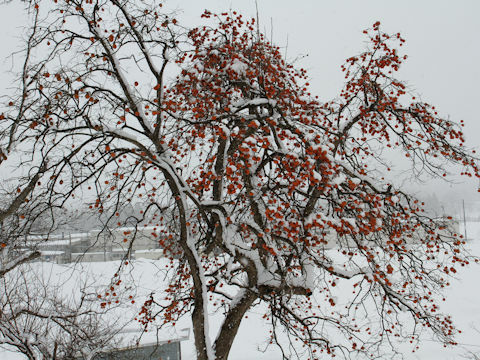 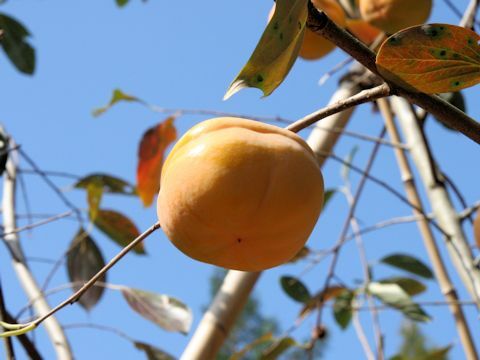 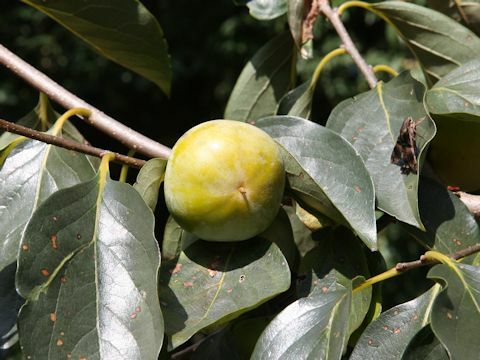 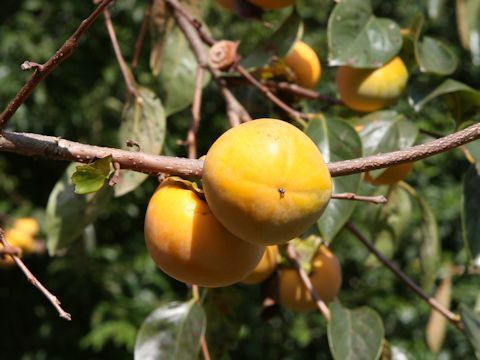 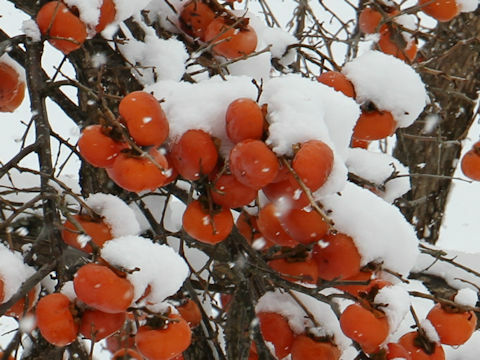 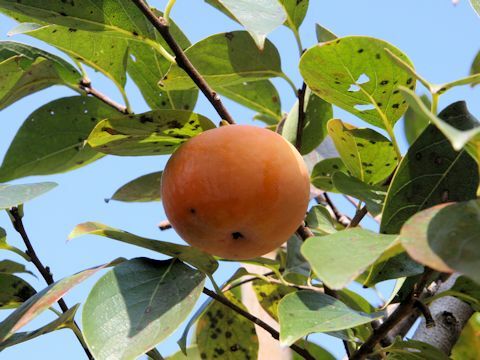 Kaki-no-ki (Persimmon) belongs to the Ebenaceae (the Ebony family). 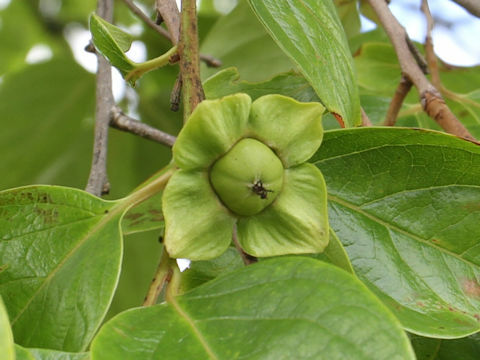 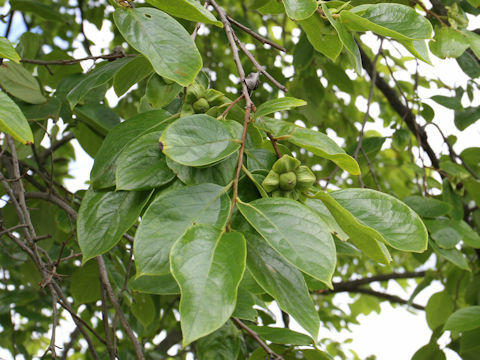 It is a tall deciduous tree that is native to the temperature region of East Asia. 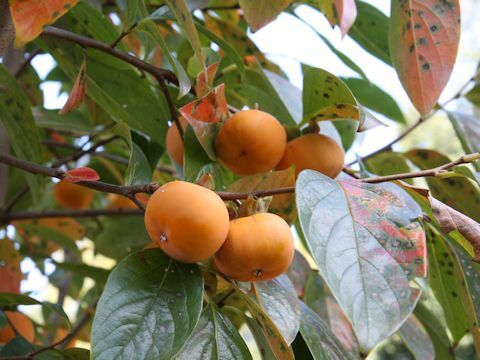 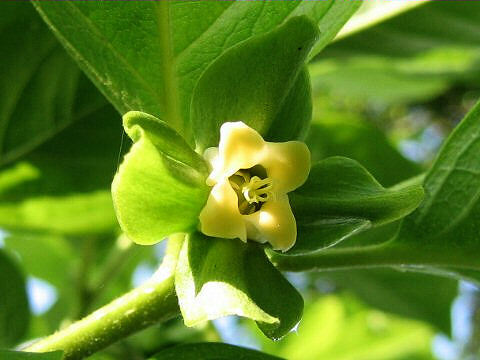 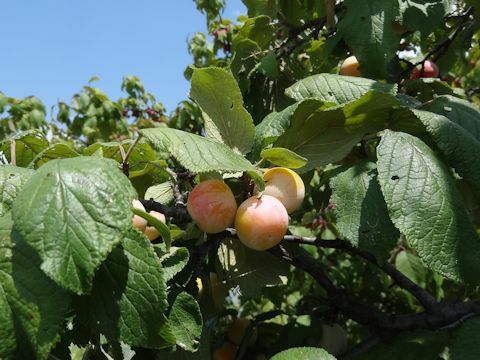 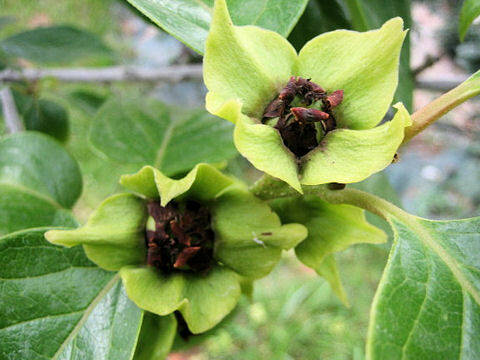 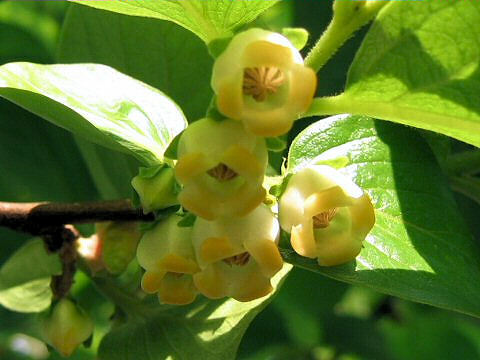 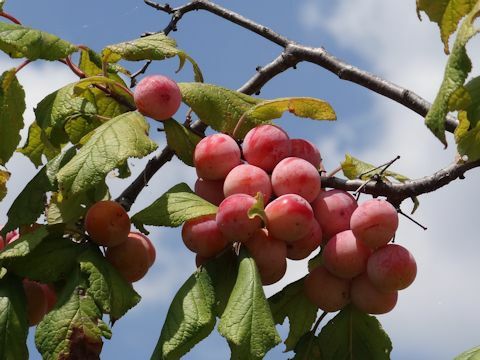 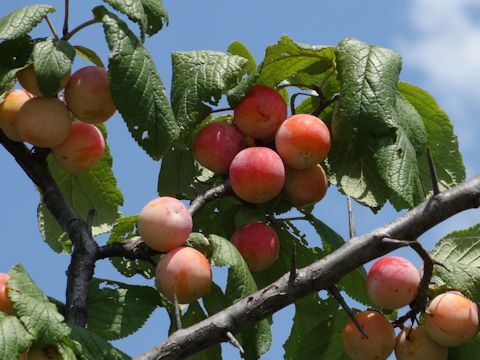 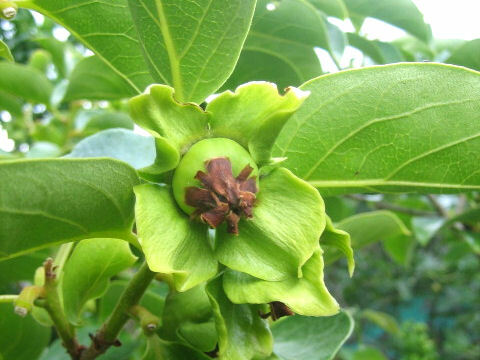 This tree is cultivated widely, and its indigenous products are Japan, the Korean Peninsula and China. 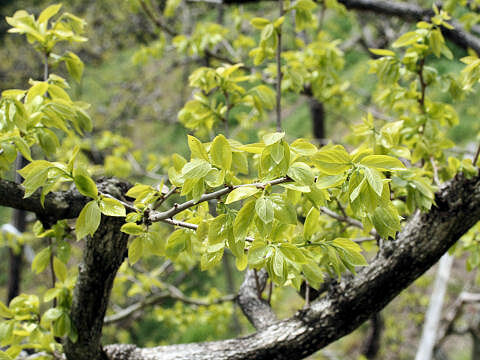 Leaves are broad elliptic to ovate-elliptic, alternate and brown hairs on the reverse side. 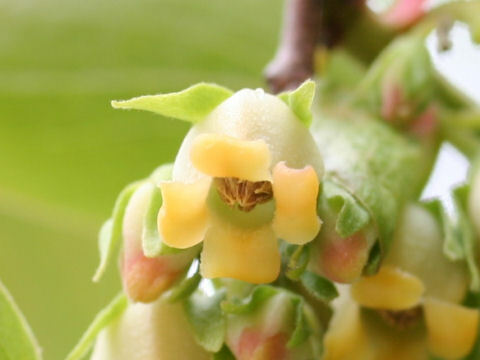 Yellowish white male and female flowers come in axils from May to June. 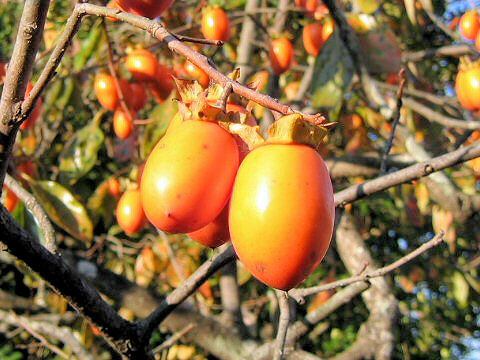 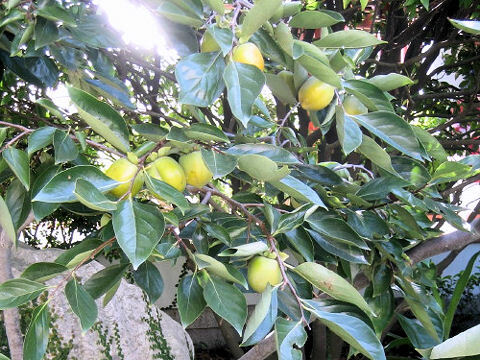 Fruits are ripen yellowish-red from October to November. 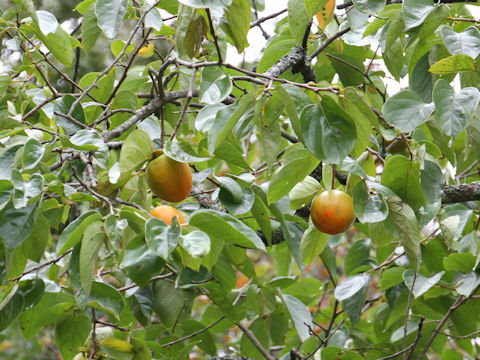 Persimmon tannin of immature fruit was used for antiseptic in former days.